We may think that once we’ve reached an intermediate level everything will be easier and we’ll become bilingual very quickly. Nonetheless, it’s often when students loose motivation because they have the sensation they are stuck. It’s totally normal. First of all, when we start a language, we start from nothing so when we are able to communicate it’s a big victory and that motivates us. But as we go further, we realize that there’s still a long way untill we are able to understand and say everything! There are still many words we don’t know when we read a book, when we watch a movie or when we listen to conversations between natives. Maybe we started to learn the language two years ago and we are still very far from being bilingual. As they say, the more you know, the more you know you don’t know! If you want to be proficient or even bilingual you don’t need months but years! We often hear about methods that can help you being fluent in a couple of weeks or months. Well, it depends on what you call being fluent. Of course you can communicate in another language after only several months, in order to be understood and to understand, and it’s fantastic! But for me it doesn’t mean being fluent. To be really fluent in a language, eveything has to become automatic: syntax, vocabulary, pronunciation, understanding, everything has to be done without thinking, without any effort. Well, to reach that level in a language or in another field, 10.000 hours of practice would be necessary. But 10.000 hours being in contact with the language are not enough, that time has to be high quality: practice, listening, attention, pleasure, motivation are essential if we want learning to be effective. 10.000 hours are about 20 hours a week during 10 years! Have you dedicated that time to the language you’re learning? We just need to see how long it takes to learn our mother tongue. 6 or 7 year old kids still make some mistakes when they talk. And their syntactical, lexical and conceptual level are much lower than an adult’s. So compare that to learning a foreign language: we need to cross the phonetical distance, restructurate our brain to adapt it to the new language and acquire advanced vocabulary and syntax if we want to be able to express all the concepts, ideas and subtilities in the new language. And you say you want to do all that in a couple of month? That’s not realistic at all! So what can we do if we don’t want to feel desperate and to reach a native like level? We’ll need to dedicate a lot of time to the language, it’s obvious: to read, talk, listen, watch movies, documentaries, look for total immersion, to become aware of our imperfections, to observe and analyze a lot, etc. 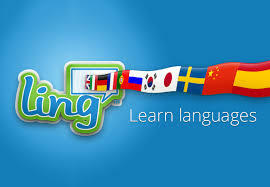 Living in a foreign country is not enough to become bilingual, even in total immersion. Immersion won’t be enough to make us think in that language and reach the same level that we have in our mother tongue. There will be very few situations where we will really need to become bilingual and intermediate level will often be enough to understand, be understood and live our everyday life, that’s why it’s so difficult to go beyong that! Going further can only happen if we are self-motivated. To become bilingual we have to feel passionate, to feel a deep necessity of achieving that goal. Only passion and pleasure we feel practicing and studying the language will enable us to dedicate countless time and to make huge efforts without even noticing it. Spanish is the only language I can say I’m bilingual in with a very high level of proficiency. I use it like my mother tongue, I can use that language in a great variaty of fields and registers, I even know a very great amount of cultural references Spanish people have growing up in the country, Spanish people usually don’t believe me when I tell them I’m French and it has always been impossible for them to notice I’m not native if they didn’t know it before I started speaking. But how did I get there? It was not by chance or by accident! When I finished highschool I was propably B1 or B2 in Spanish. I had already studied the languages for 5 years at school, 2 hours a week during the first 3 years and then 3 or 4 hours a week. I had spent 2 months in Spain in a Spanish family during one summer. Then I started to study Spanish at University and although I was already proficient, I made a lot of progress from then: I studied the language all year long. I only read books in Spanish and I used to write down all the words I didn’t know, to look for them in the dictionnary and to memorize them! I watched every movie, documentarie, I read every newspaper I could find. And when I was not doing that, I used to spend my spare time with native Spanish speakers who were studying at my University. During the summer I used to go to Spain to work. Then I went to study in Spain and I decided to live there. So, after high school where I was already proficient, it took me 5 years of studies and active immersion to become totally bilingual. And believe me, I used to dedicate more than 20 hours a week to the language. I think the most important thing is not to focus on what we don’t know, on what we don’t understand, on what we don’t do right, on all the way left. As always, it’s a matter of attitude! I’ve always seen difficulties as opportunities and not obstacles. Forget that distant goal of speaking like a native. Don’t set 20 hours of work a week as a goal because you’ve read this article! The most important is to enjoy learning, to progress little by little, to focus on the present, on what you’re learning now. Only that way you’ll achieve your goal, without efforts appearantly but above all without frustration. Of course I could give you some advice on how you can learn vocabulary, on how you can improve your accent. And I will! But it was essential to me to talk about this topic because as long as we don’t understand that the most important thing is not achieving a goal but enjoying the journey to get to it, all my advice will be useless. Once we are really bilngual in a language, once we’ve overcome all difficulties, everything becomes as automatic, natural and precise as it is in our mother tongue. Then, we feel like we’ve learned everything we needed to learn and we’ll have to find new challenges. That’s why it’s very important to enjoy what we are learning now. We don’t need to put ourselves under pressure. Wanting to go fast is for me the best way to get stuck. Stress is the enemy of learning! Pleasure is it’s best friend!